Puma previews the First Round Kiss, the sneakers that it’s planning to drop for Valentine’s Day 2010. 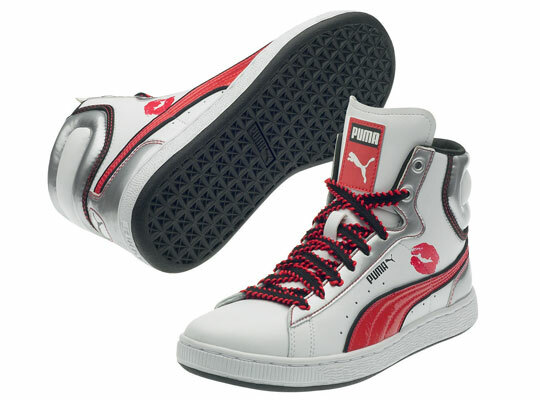 Featuring the classic Puma First Round hi top with a special kiss printed on the uppers. A brilliant, subtle piece for this day of love, you can expect them to hit retailers very soon.